Modular Venturi Vacuum Pumps are designed for the “A-La-Carte” choices required when solving application issues. Venturi Vacuum Cartridges are chosen by performance and integrated into a body style based on required accessories. 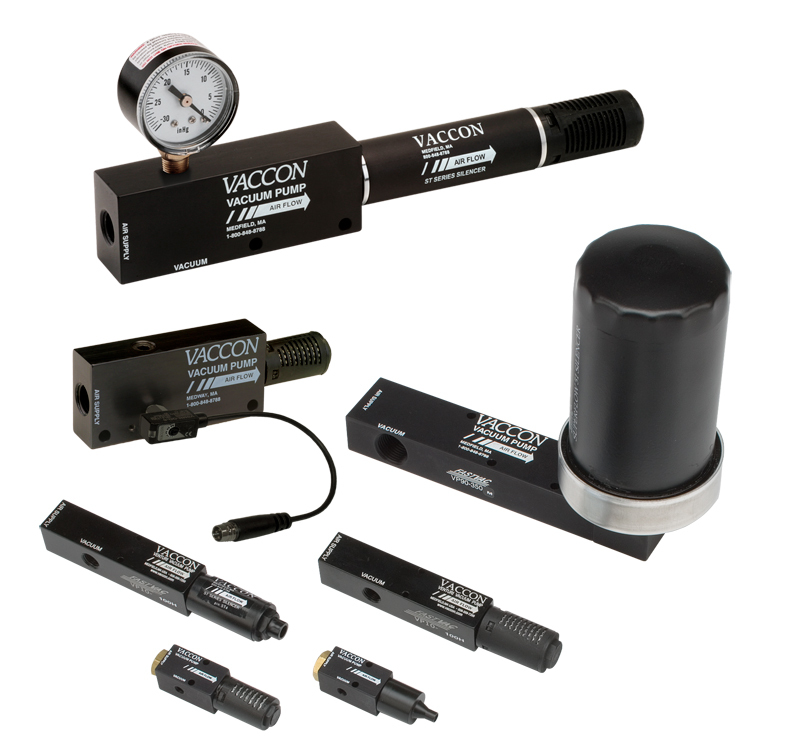 In keeping pace with industry's need for improved automation and material handling methods, Vaccon introduced the Fastvac Series. The Fastvac Series provides maximum design flexibility by using a modular component approach. Integrating a venturi vacuum pump, sensors, and solenoid valves within one assembly, the Fastvac Series provides complete vacuum systems capable of interfacing with computerized control systems. For maximum application versatility, the VP Series utilizes modular components to allow designers to specify only those features necessary for their specific application. Flexibility is further increased by the use of our cartridge venturi system which allows any one of eleven venturis to be inserted into any of the four body styles. Without considering optional accessories, this represents 44 possible configurations.